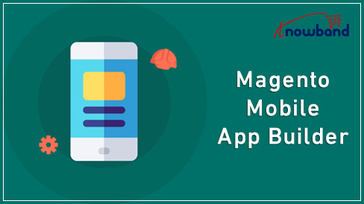 Magento Mobile App Builder Module helps the Magento store admin to develop his own Mobile Application for his store without coding. Work for Magento Mobile App Builder Module? Learning about Magento Mobile App Builder Module? Salesforce Platform: mySalesforce empowers employees across your organization to live your brand through their mobile experience. mySalesforce alllows you to create rich and engaging branded mobile apps for every department, from sales and service to HR, finance, and operations. Appypie allows users with no programming skills, to create an app for Windows 8 Phone, Android & iPhone applications for mobiles and smartphones; and publish to Google Play & iTunes. Mobirise is a free offline website builder for Window and Mac to easily create small/medium websites, landing pages, online resumes and portfolios, promo sites for apps, events, services and products. Zoplay specializes in mobile applications to meet the on-demand challenges and has developed a collection of market-tested, clone software. Coding is hard. So we designed a platform where anyone can build apps, without having to code. Connecteam is a management mobile solution that allows company to create their own employee smartphone app it improved remote workforce management and effective internal communications to employee satisfaction surveys, performance management, scheduling and training. * We monitor all Magento Mobile App Builder Module reviews to prevent fraudulent reviews and keep review quality high. We do not post reviews by company employees or direct competitors. Validated reviews require the user to submit a screenshot of the product containing their user ID, in order to verify a user is an actual user of the product. Hi there! Are you looking to implement a solution like Magento Mobile App Builder Module?